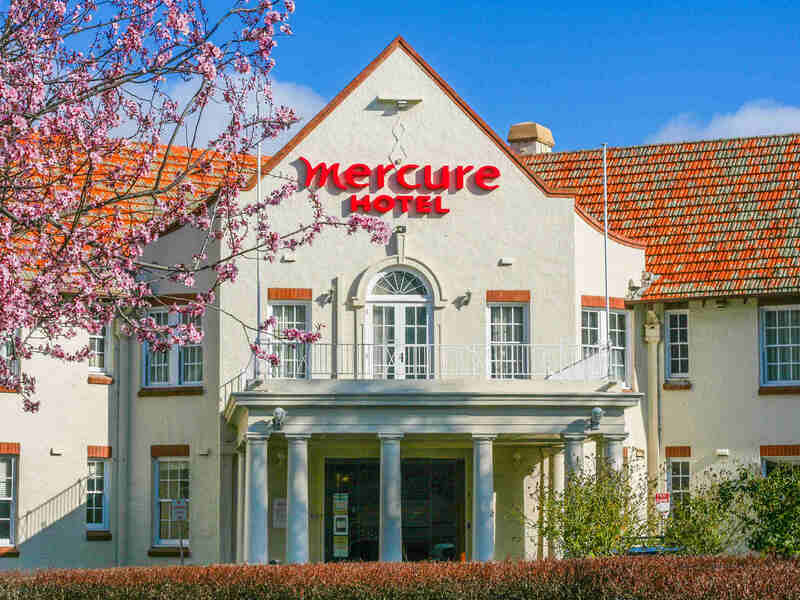 Mercure Hotel Canberra combines old world charm with modern comforts. Superbly located, the hotel is moments from the city centre, Canberra Convention Centre and popular Canberra attractions as well as shops and entertainment. Mercure Canberra is also only minutes from Canberra Airport. Along with 129 rooms, a bistro, sports bar, meeting rooms and private parking, the hotel offers quality services sure to please business and leisure guests alike. When visiting the nation's capital, there is always plenty to see and do. With its central location, Mercure Canberra provides the ideal base for visitors wanting to explore the city. Parliament House, the Australian War Memorial and the National Museum o f Australia are all closeby, providing fascinating insights into the country's past and present, while Questacon is forever popular with kids. Guests staying at this popular Canberra hotel are also within easy reach of the city's restaurants and bars. Guests looking for Canberra conference facilities should look no further than Mercure Canberra. Featuring versatile function rooms, superb accommodation options and a wonderfully central location, this Canberra conference centre is the ideal choice for small to mid-size events in the nation's capital. Guests organising an event at the hotel can choose from a range of event spaces, each with flexible function layouts available, from cocktail and banquet style, to boardroom and classroom style. Accommodating 8 to 180 delegates, event spaces are tastefully presented and well appointed, each providing essential conference facilities. A range of packages and menus are available. The hotel events team is also on hand to assist with planning and organisation. Modern and comfortable, yet stylishly graceful, guest rooms at Mercure Canberra manage to retain their traditional charm while providing all the modern conveniences. Guests staying at this heritage-listed Canberra hotel can choose from a variety of accommodation types, with Superior and Deluxe options available. Each room is spacious and well designed, with all the essentials and a few little luxuries. Rooms feature a modern ensuite, air conditioning with manual temperature control, a work desk and a TV. Stylishly furnished and offering great value. Rooms feature one Queen size bed with mattress topper and fluffy duvet for a perfect nights sleep. Additional features include mini bar, flat screen TV with pay per view movies, internet access and desk. Upgrade and enjoy the extra space and added comfort! Rooms are large and airy with one King size bed and all the features of a standard room. Select rooms also have a balcony. Additional bedding on request at additional cost. Rooms are large and airy with one king-size bed, en-suite bathroom with walk-in shower, large flat-screen TV and a comfy pink armchair PLUS a balcony overlooking the internal courtyard gardens. Additional bedding on request at additional cost. Choose comfort and space and upgrade to a Deluxe Loft. The loft is split level with a kitchenette, lounge and dining area downstairs and a bedroom with a king-size bed and en-suite bathroom upstairs. Choose comfort and space and upgrade to a Deluxe Loft. The loft is split level with a kitchenette, lounge and dining area downstairs and a bedroom with a king-size bed and en-suite bathroom upstairs. Balcony overlooking the internal courtyard gardens. The Courtyard Restaurant is located on the ground floor overlooking our beautiful internal courtyard and gardens. Offering a Modern Australian menu for dinner from Tuesday through to Saturday and a delicious Breakfast daily. Olims Bar & Bistro has a large beer garden overlooking Mount Ainslie plus TAB, gaming machines and bottle shop facilities. Hotel generally looked not attended in detail. Considering price range it was less than expected. A bit disappointed. My experience staying with you was very good. There is a back story to my stay which is relevant to your business. I was in Canberra conducting training as part of my business for a number of clients including Boeing. I needed a conference venue for the training along with full catering. I had tried to contact your conferencing staff more than a week prior to the trip to check availability and secure a quotation I tried for 3 days and left 3 messages, both on the conferencing voicemail and the main reception. Nobody returned my call. My Accor Plus club experience so far has been extremely good with your partner hotels and it was this loyalty to your brand that had motivated me to try and place the conference business with your property. Ultimately by the time I finally heard back there was no availability and I went with a competitor to you. The lacklustre response to my conference enquiry also informed my decision about where I would stay while in Canberra. I would have possibly stayed with you for my entire visit and only ended up staying there for 1 night. Older style hotel with good size rooms and nice outdoor courtyard. We have stayed many times before and were very surprised that there was a $10 parking fee. We feel that with our annual fee and the fact that I have been an Advantage Plus member since it started and that we are pensioners that all of these extra charges should not be applicable. I was also not happy to have to pay the booking fee of $20 because I tried to book online but was not able to. We’ve stayed here on several occasions mainly because of its location. However the Hotel in general needs updating. The rooms along the rear are not sound proof so we could the guests in the adjoining room talking, using the bathroom etc. our room had a balcony but it overlooked a almost non-existent garden, wire fence & ugly car park (which by the way isn’t secure nor undercover & guests are charged a fee for using). The room itself was clean & comfortable. Bathroom was clean but not overly spacious & had everything that we required. Isn’t it time Hotels discontinue making guests climb in & out of a bath just to have a shower. I’m not sure how old people cope with that. The dining room is looking tired & has no attractive outlook despite the large windows. It wasn’t open for dinner on the Monday that we stayed. Reception staff were friendly & made check in/out smooth but the reception area is small & unatttactive with an ice cream fridge of all things. Overall the Hotel is like a rabbit warren which may appeal to some people. I understand that this Hotel is a heritage building but hopefully at least the interior public areas can be made more inviting, light & airy, & that the car park can be made more secure. But I can highly recommend it for the location (walking distance to shopping mall & War Memorial). I stay in Canberra frequently but had never stayed at the Mercure before. I will definitely be back. The customer service was exceptionally good at all levels - from front desk to the staff at the bar and bistro. Everyone was so friendly and really went out of their way to assist. We were only there for one night but the staff and service generally were really friendly and professional. The room was clean, tidy, comfortable. So a really good experience. Staff were lovely and breakfast great. Would recommend Mercure to friends any time.